Mogadishu. Somalia. 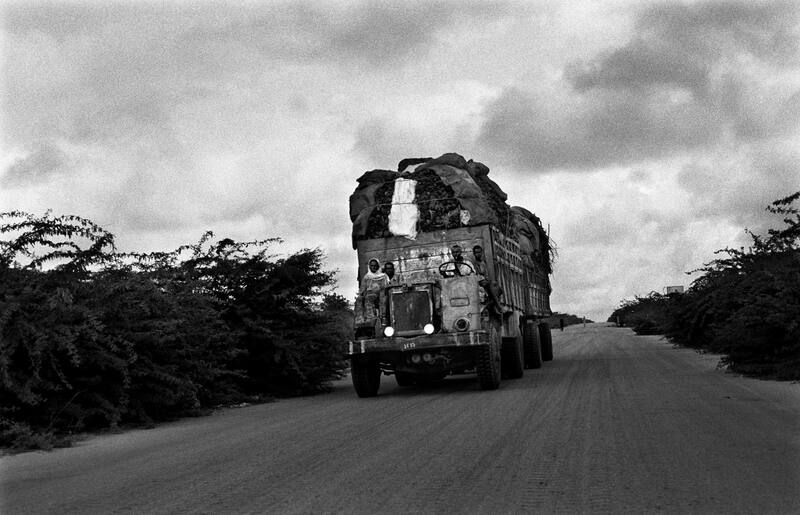 2007 A truck with charcoal from southern Somalia's dwindling forests heading for the port in Mogadishu. It will be shipped to Gulf countries like Saudi Arabia, who themselves outlaw the destruction of their own trees.